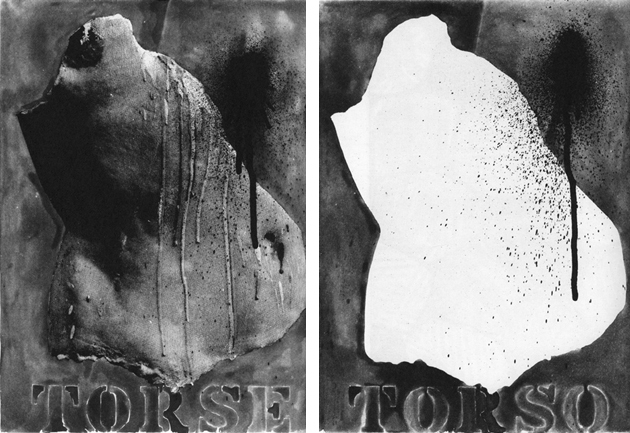 June 4, 2012 Doors 7:30 p.m., performance 8:00 p.m.
Two works by Jasper Johns from Foirades/Fizzles, 1976. On June 4, Triple Canopy will host an hour-long interpretation of Beckett and Johns’s artist book by the New York–based Piehole theater group. Incorporating theater, dance, electroacoustic sound, and live and recorded video projection, Piehole’s The Fizzles promises a compellingly imperfect meeting of media.